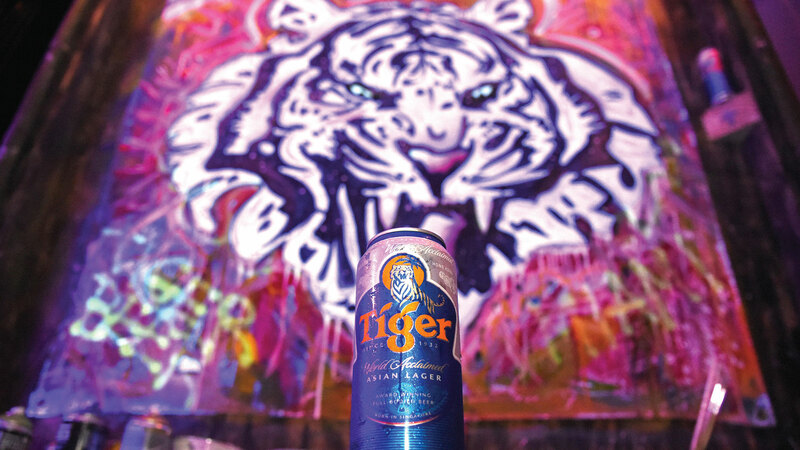 Creating and implementing an engagement platform to support the launch of Tiger Beer into the Florida market, Stevie & Fern partnered with international Muralist Daas, for a co-creation experience unlike any other. Working alongside thousands of FM Festival attendees’, an Asian themed street market was home to a 5×5 ft canvas that evolved throughout the night alongside the eclectic music mix. 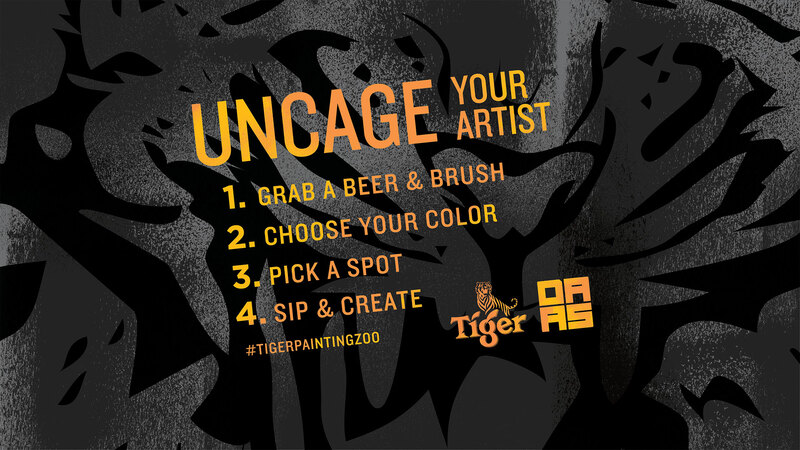 In addition to the painting opportunity, festival participants could also screen print their experience live creating limited edition tee’s to flaunt this unique Tiger Painting Zoo experience.